There are always some growing pains in the first year of a new model and the new 2019 Ram 1500 pickup is no exception. It turns out that Fiat Chrysler accidentally gave some of the trucks what appears to be a backseat tribal tattoo. While this may be a hit with a certain portion of their buyers, it appears that it is a mistake due to mismatched materials. It is not unusual to see such a mistake on a first year model and FCA in particular has a history of sending cars out with mismatched cosmetic parts. The mistake was detailed in a technical service bulletin that was recently released for the 2019 Ram 1500, pickup which appears to show the rear seats getting the unintended markings. 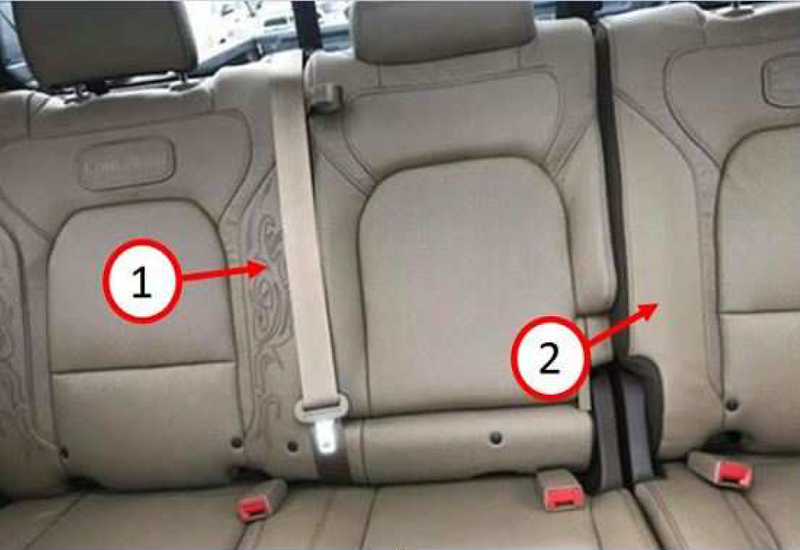 The TSB title “Mixed Rear Seat Trim Covers” details a situation where some of these trucks may have mixed seat covers in the rear with one having an ornate design called filigree, while the others do not. It appears some of these trucks ended up with seat covers from another model that was supposed to have them. The fix for the issue is fairly simple as it involves removing the seat and replacing the cover with one that properly matches. While this issue does not affect how the vehicle drives or how safe it is, I am sure that most of these owners won’t be happy about having the interior of their new truck ripped apart right after delivery. Technicians that have to handle the issue probably won’t be happy either as the flat rate warranty time only allows between 12 and 48 minutes to remove the seat section and complete the seat cover replacement, which seems a bit tight in my experience. Luckily, the issue only appears to affect a small subset of vehicles as the bulletin states that it only applies to vehicles built with the “Light Mountain Brown” interior color that were produced between January 8 and April 27, so it’s unlikely that a huge amount of owners are affected. If the back seat of your new Ram looks like the arm of a reality show star from the early 2000s then be sure to ride over to your local Fiat Chrysler dealer and ask them complete TSB 23-030-18. Unless you like it, in which case, you do you.